Trees and plants for hot climates are the most valued. They create shades for people to rest under. While everyone loves to sit under the tree in warm weathers, as the temperature rises, it starts affecting the plants too. Although the plants’ ability to withstand heat is usually better than other living things, beyond a certain range (around 90 degrees Fahrenheit) even plants suffer. Of course there are always some plants for hot climates that can handle heat better than others can – so you need to pick your hot weather plants accordingly. All plants are affected by heat. Up to a certain level, the higher the temperature the better the plant growth. Beyond a limit however, with rising temperatures, the plants get impacted adversely. The higher the temperature goes, the more is the damage on the plants. Of course, weaker plants are impact more than the tougher ones. The heat does not only affect the plants from the top, overheated soil also impacts the roots affecting their ability to absorb nutrients from the soil. Plants for hot climates with roots spreading along the surface are affected more than those whose roots sink deeper into the soil. The excessive heat can also affect the tree barks and branches too. With increasing heat, if the leaves are not able to protect the stem or trunk from the sun’s rays, the barks get dried and eventually get burnt. This can also affect the longevity of the plant itself. Quite a few heat resistant plant varieties can be used to create an appealing landscape. 1. Barrel Cactus: This is a classic hot weather plant that is preferred by many landscape designers. This dome shaped plant with artistically placed thorns is an excellent visual treat when used properly in the garden. What’s more it also bears small yellow flowers which add to its beauty. 2. Silky Cassia: This fast growing shrub can reach heights of 6 feet. This is an evergreen shrub with bright yellow flowers to provide the right contract in the colours. This is a dense shrub with leathery leaves to retain the moisture. This plant can survive the tough hot weather without many problems and is a great choice for year round greenery when seeking plants for hot climates. 3. Spotted Emu Bush: This is another shrub designed for the hot climates. Rather than wide leathery leaves, this plant has slender green leaves that help reduce the exposed area to lose moisture. It also bears bright red tubular flowers adding great variety to the landscape. This plant prefers well drained soil and plenty of sun shine. If this plant is not pruned regularly it can grow out of shape, so it is important that you control its growth and shape during the initial stages. While there are many other plants that you can grow in hot climates, there are techniques you can use to nurture these plants better and help them grow in adverse conditions too. To start with you must protect the soil by mulching it with cut leaves, grass or small twigs and bark. This helps retain the moisture in the soil and keep its temperature moderate. 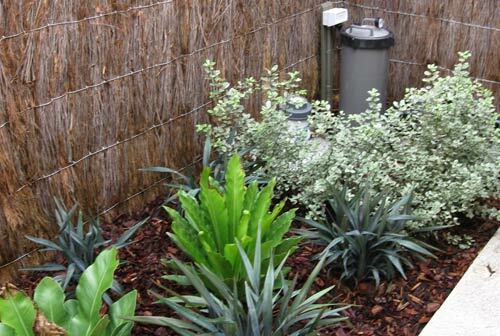 Besides, you could also plant smaller shrubs in the shade of larger ones to protect them. However, you need to stick to plants for hot climates, which are relatively tolerant to the high temperatures all the time.